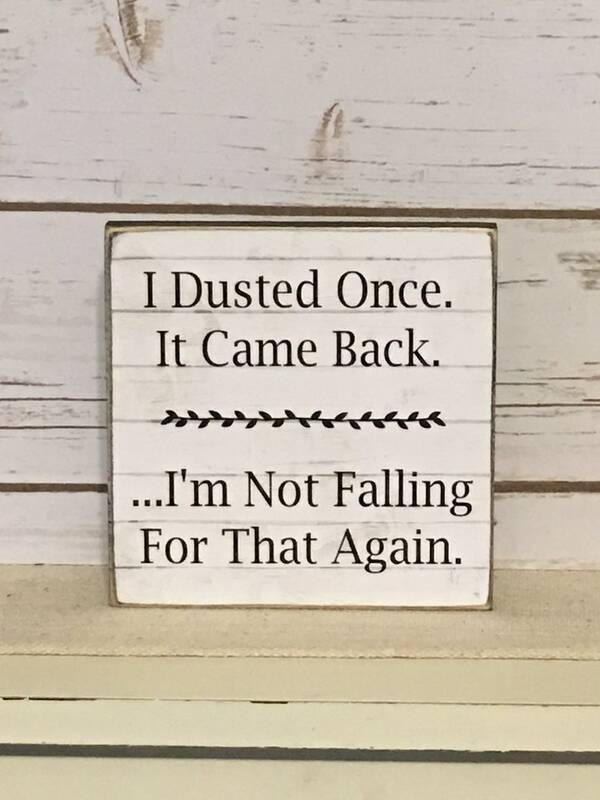 I Dusted Once. It Came Back...Funny Sign...so cute and sure to make you smile! Made from wood with a sweet little print attached to the front. Sides and back of the sign are finished in black. Distressed for a timeworn look. Measures 6" x 6" x 3/4". Ready to hang with an attached wire hanger...or can be displayed on a shelf. Handcrafted by Daisy Patch Primitives. Please allow 5-10 days for delivery. Thanks for stopping by the Daisy Patch! Very prompt delivery! Nice workmanship! I love it! Thank you! Very cute and my favorite saying! It’s very nice! Very vintage looking. Thank you!